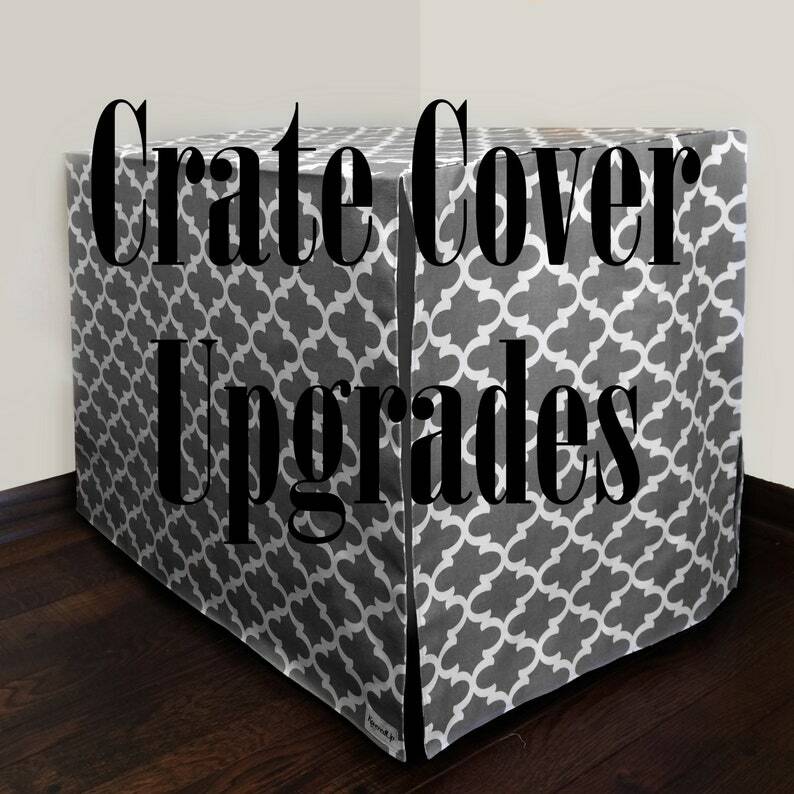 This listing gives you the ability to add custom options to your crate cover. You can add as many of these additions as you would like, simply add the option you would like to your cart and continue shopping! Please don't hesitate to message me with any questions you may have. ▲ Each cover is lined with a natural-colored lightweight cotton fabric, except for the door flap unless you choose to upgrade to a different color. - Fasteners secure the cover onto your dog's crate, reducing the chance of your pup from pulling the cover into the crate, falling off through every day use, as well as preventing it from "flapping out" so it lays nicely against the crate. 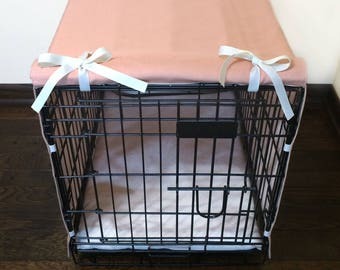 - Snap fasteners are a discrete and chic way to secure your cover onto your crate. These allow for a secure hold, preventing the chance of your pup pulling the cover in, near impossible! 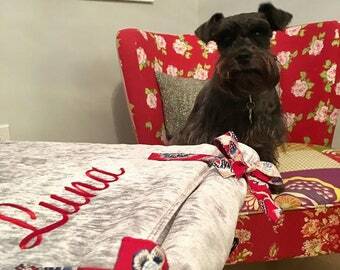 - The Velcro fasteners significantly reduces the chances of your pup pulling the cover into the crate. - Buttons are also discrete, but are a step up from the velcro fasteners, allowing for more of a secure hold. 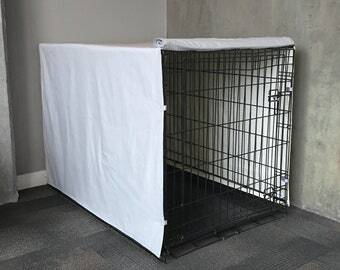 This option prevents the chance of your pup pulling the cover in, near impossible! - Have the back corners of the cover sewn together, keeping any light from entering the cover while your pup sleeps. - You can add ties to the your cover's door(s) to keep it rolled securely on the top your crate and/or the velcro door security to keep the door secured when it is down. - Velcro door security + 5.20 (per door): This option helps keep the door secured when it is down. There is a velcro fastener on the bottom of each side of the crate that attaches to velcro on the outside of the door. 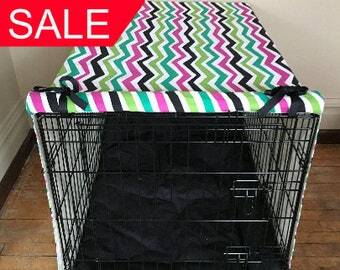 - If you would like the longer side of your crate to be the door, there is an additional fee due to the additional fabric that will need to be purchased. - This gives you the option to flip up more than one side of your cover and have both sides with your fabric choice showing (instead of the lining). Select the door to the right if the longer side door is to the right of the front door, or select the door to the left if the longer side door is to the left of the front door. +10.20 if you would like the other shorter side to be the additional door. +15.20 if you would like the longer side to be the additional door. -If you would like the inner lining of the door to be a different canvas fabric, there is an additional fee due to that additional fabric that will need to be purchased. - You can add pockets onto the back to hold your dogs leash, treats, etc. - This option comes with 2 straps attached by velcro to the front top of your crate's door to keep it rolled securely on the front of the border of your crate. You will want to measure from the top of your crate to the top of your door for the width of the border. * This option is recommended only for crates with space between the top of the crate and above the door. **It is strongly suggested to purchase buttons or snap fasteners with pockets to prevent the cover from slipping off of the crate or be weighed down. 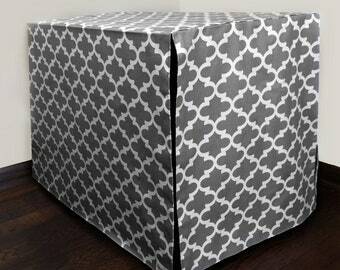 - You can now add a name, initials, or other words to your crate cover! Please contact me if you have a specific size, color or font you would like before purchasing and I can provide a quote. - If your crate has been scratching up your floor, this top-stitched canvas floor protector is heaven sent! You can request a specific color, or go with the typical cream color. Price will vary on the size of your crate. This is the second crate cover I’ve bought from Kovered Up. Really great great quality!